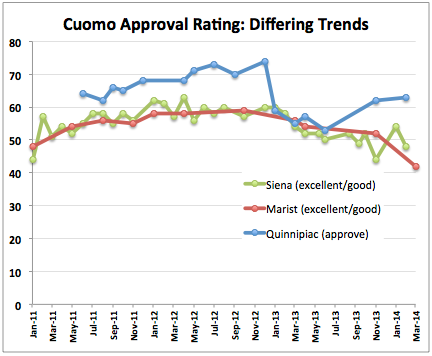 The Marist poll shows Andrew Cuomo's job rating plunging in New York. 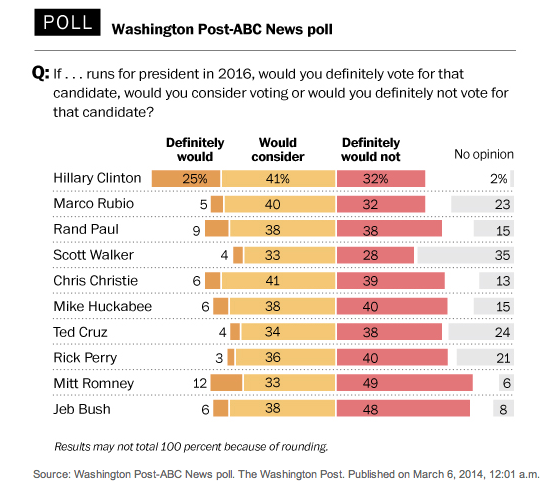 A lot of Republicans rule out voting for Chris Christie in 2016, but was Romney in worse shape four years ago? And a very unscientific survey finds surprising CPAC support for Vladimir Putin. This is HuffPollster for Thursday, March 6, 2014.